To help organizations capture the real moments-of-truth and to derive valuable insights on employee engagement and performance, Darwinbox adds a new voicebot named Darwin to its current product suite. Hyderabad based HR Tech service provider, Darwinbox launches a voicebot named ‘Darwin’ and brings in 'voice-first’ approach to their current HCM platform. While its current HR platform takes care of entire employee life cycle, from recruitment to exit management, with this latest addition in its product suite, it aims to further improve the interaction with technology by making it more intuitive and conversational. “Voice-driven interaction in HR Technology has the potential to increase employee efficiency by cutting down the time spent on routine tasks by more than 50 percent. We wanted to apply this advantage to something more culture-impacting and talent-critical like feedback as well. After all, for the mobile-first generation, the voice is the most intuitive form of interface with devices and organizations need to start embracing this,” said Chaitanya Peddi, Co-founder & Product Head, Darwinbox. What is Darwinbox Voicebot? How does it work? Our voicebot, called ‘Darwin’, will bring in a ‘voice-first’ approach to our HCM platform, Darwinbox, making interaction with technology more intuitive and conversational. Darwin combines the power of voice-based inputs and highly intuitive AI and ML to reduce time to act in a multitude of business scenarios such as leaves, compensation, feedback and roster analysis – thereby enhancing efficiency and employee productivity. It also empowers employees to access data, which traditionally is hard to find and time-consuming – such as finding out who’s in for the day, who’s been disengaged lately or tracking the general trend of team performance, all will be replaced by a simple conversation instead of clunky reports. What makes the Voicebot different from the Chatbots available in the market? The primary difference between the two is the mode of interaction and the efficiency/engagement they drive. Voice or speaking is the most natural form of communication in our everyday lives. Talking is something more seamless and inherently human than chat. 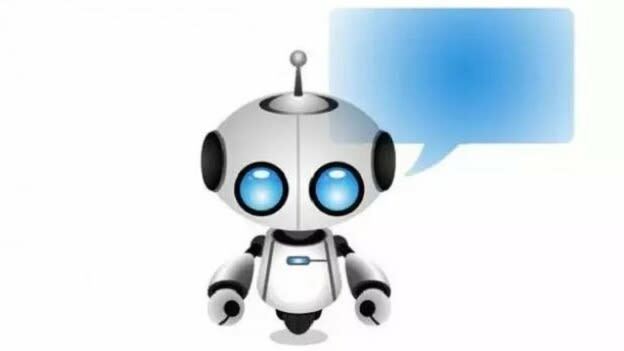 And ‘Darwin’ has been designed as a ‘voice-first’ bot which means it allows employees to interact with the bot in a hands-free mode for the majority of the scenarios, unlike the chat alternative which would still involve efforts of clicking, typing and reading the screen for taking an action or retrieving information. Apart from solving for efficiency in the administrative aspects of HR, the voicebot is also beneficial for employees. ‘Darwin’ will be a first-of-its-kind voicebot that allows employees to share real-time feedback in a manner which is seamless and convenient. What kind of challenges are you planning to solve through this Voicebot? A lot of workplace data and interactions fail to get captured on a system because of the effort involved between thinking and doing something. While a manager thinks someone in the team deserves an appreciation/feedback for the job done, the effort to open, navigate and record that feedback on a system hinders them from doing so. One can be thinking that his/her team seems to be disengaged in the last few weeks but the effort to filter through reports that can validate this thought hinders them from leveraging the power of all the analytics that our HR technology has to offer. Voice-based interaction can hugely reduce this friction and capture the real moments-of-truth to ultimately help organizations derive valuable insights on employee engagement and performance. How will this Voicebot solve people and work challenges? Reduce Time to Action: Through voice-based inputs, one can adhere to and comply with processes by spending much lesser efforts than before - thereby allowing them to discover time to achieve their work goals. Easy Access To Intelligence: From simplest of information like “who’s on a leave today” to sifting through talent history to report the average hike of an employee over the past years, Voicebot will enable access to intelligence in the form of a simple Q&A. Enhance engagement & experience: Organizations can leverage voicebot to enhance employee experience allowing them to be more engaged, empowered and receptive. The voicebot has been designed to apply this advantage to something more talent-critical like performance feedback as well. The two and a half-year-old HR Tech platform is currently utilized by 2,50,000+ employees, with companies like Dr. Reddy’s, Paytm, Nivea, Myntra and Swiggy on board. Darwinbox is backed by investors like Mohandas Pai, Sateesh Andra (ex DFJ head) and silicon-valley based investor Lightspeed Ventures. Darwinbox is one of the diamond partners for People MattersTechHR 2018. Meet them at the conference this year. Click here to register.